Outdoor Lighting Illuminate your entire outdoor living space, highlight certain areas of it, or create nighttime safety with efficient lighting that allows you to enjoy and showcase your landscaping long after the sun goes down. Planting Handsome trees. Youthful saplings. Delicate flowers. Accented bushes and shrubs. Bring colour, life – and help the environment too – with smart, sustainable planting throughout your outdoor living space. Woodworking Entertain friends inside a professionally designed, responsibly sourced, and expertly built pergola. Need outdoor solitude? 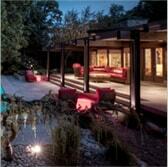 Custom fencing and privacy screens provide the beautiful seclusion you’re looking for. Natural Stone and Interlocking Imagine pulling into a beautiful interlock driveway and walking along a stone path towards the backyard patio. 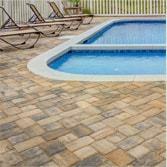 Then picture yourself relaxing on an expansive pool deck made from immaculate natural stone. GET IN TOUCH Share your ideas. Ask your questions about our landscaping services. Tell us your plans in a friendly, approachable environment where the focus is fully on you. 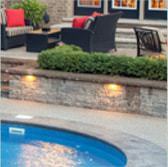 You have a vision for your landscape project. We have the experience to bring it to life. 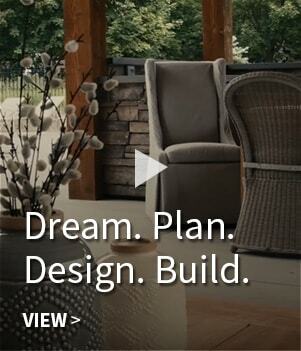 When your wishes meet our knowledge, it’s the first step towards making your outdoor design dreams a reality. Together, your idea transforms into a tangible concept. Certified landscape contractors, designers, and architects – plus interactive 3D rendering technology – give you a glimpse into your finished project. Your outdoor living space takes shape. From securing city permits to protecting existing trees and plants, we’ll handle it. All throughout, you’ll always know where your project stands and what’s to come next.